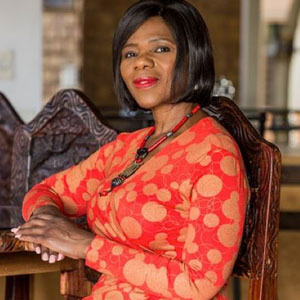 This is a beautifully written tribute to Thuli, it is a must read – and I can’t help saying this – why was there not a piece, as well written, scribed by our newsprint journalists? And will Adv. Busisiwe Mkhwebane aspire to have a similar tribute written about her role as Public Protector seven (7) years from now? Steuart Pennington. I have always had a sense of this woman’s unique ability to intuit the metaphysical and spiritual requirements of the moment beyond the physical aspects of her work as our Public Protector. Without naming it as such, I believe this is why most of us esteem her as we do. We in turn intuit the extent of her impact rather than just see, hear or feel it. Madiba elicited the same response. The fact that her response to the release of this final labour-of-love was to step back, should confirm what we may have sensed all along; that she is as much a spiritual leader as anything else. This is not a badge of honour and certainly not a mantle that I would expect her to wear comfortably, but that very fact would serve as further proof of the hypothesis. But she chose to post a quote about stepping back. Why? Firstly, she knows that we are ultimately only ever as powerful as we are humble. That is the conundrum of falling upward. The extent to which our ego is in control determines our impact for good in the world. Alas, this does not mean that ego-driven human beings will not become powerful leaders. It simply means that their positive impact is an illusion that will ultimately fade and die. Of course, there is also an implicit challenge in Madonsela’s above quote. It is her time to step back but where does that leave us? It is most certainly not our time to step back. As our Public Protector, she left us lessons and of course tools to step forward and continue the fight for our democracy. But the battle is far from over. As Vytjie Mentor said, we are the same now as we were before the report. What can we do to ensure that South Africa emerges victorious from this battle for her soul?